You may have noticed Christmas is coming, and whilst many people are decking the halls with boughs of holly, is your bedroom ready for the festivities? Christmas for a lot of people means guests coming to stay, and when we think of guests were minded of this phrase “House guests are like fish, after three days they start to smell”. So to avoid the inevitable arguments about who is going to watch what on Christmas day could a TV Bed be the solution to your problem? There are many benefits to buying a TV bed (but of course, we would say that we wouldn’t we) but the one thing that a TV Bed will give you, especially with a house full of people, is privacy. Don’t fancy watching Only Fools and Horses again for the tenth time? Then the place to binge watch your favourite shows is going to be the comfort of your bedroom. Our latest exclusive from Kaydian is the Connect Ottoman. And, this bed delivers style, comfort and practicality in spades with features like USB charging points and touch sensitive lighting which can illuminate your floor with the wave of a hand. 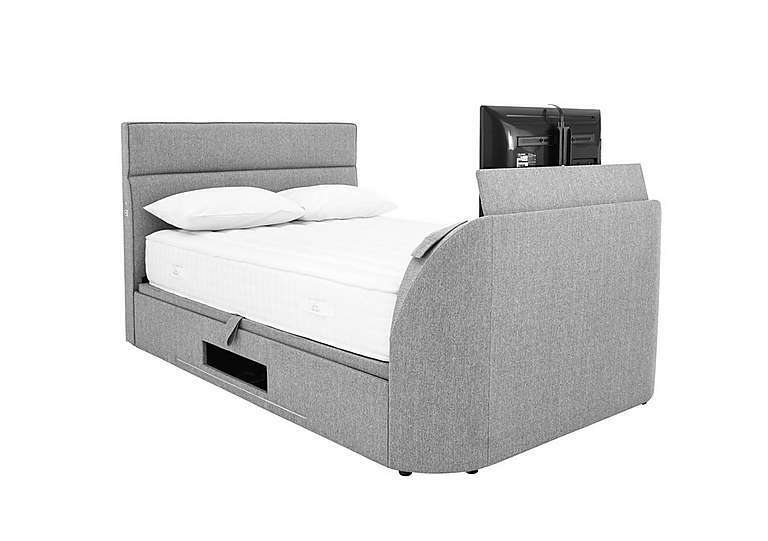 Of course, if you really wanted to be the host with the most you could even consider installing a TV Bed in a guest room. If you have that one guest who would appreciate more privacy, what better way to pamper your house guest than giving them the gift of a brand new TV Bed? We offer a great range of more basic TV Beds, with prices starting at just £445. The Kaydian Avalon is one of our most popular TV Beds right now and at the reduced price of £495, we think you can see why. Of course, we don’t do just TV Beds here. We also have a great range of standard bed frames and incredibly priced mattresses from the market leader Sealy too. So if your, or your guest bedroom needs a revamp for Christmas, please get in touch. Delivery is seven days, subject to stock availability. So if your order now you, or your guest, could be enjoying their TV Bed in time for Christmas.